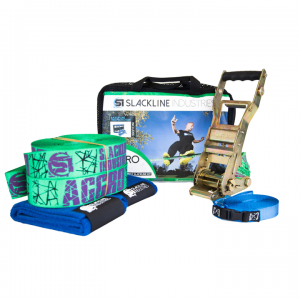 This progressive slackline kit is the kit to get for those who are serious about wanting to get into the sport of slacklining. 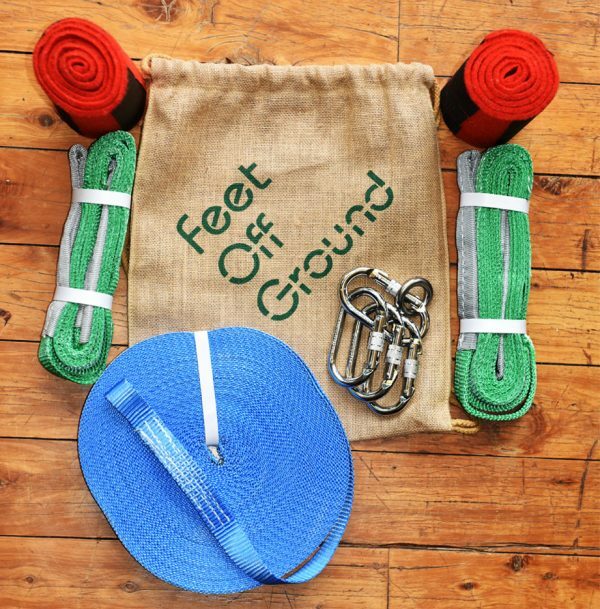 This progressive slackline kit is the kit to get for those who want to get into the sport of slacklining. 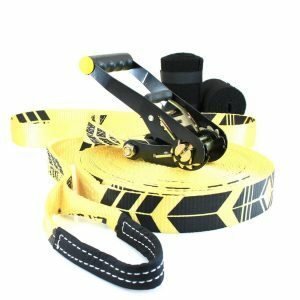 The custom designed flat polyester webbing has a little more stretch and bounce than most polyester webbings, giving it a soft light feeling under foot. 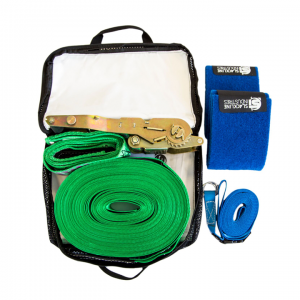 This webbing has a similar feeling to walking on nylon, but without the hassle to tension it. 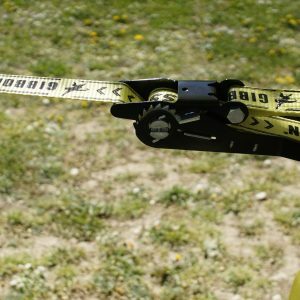 Also being 30 metres long provides greater versatility when choosing the distance you want to walk. 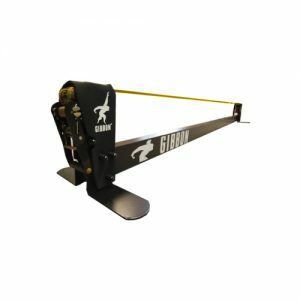 This progressive slackline kit is the kit to get for those who want to get into the sport of slacklining. Our custom designed flat polyester webbing has a little more stretch and bounce than most polyester webbings, giving it a soft light feeling under foot. 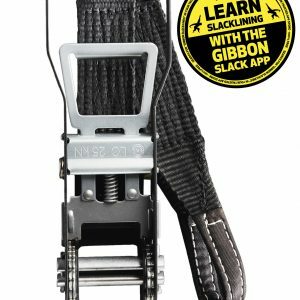 This webbing has a similar feeling to walking on nylon, but without the hassle to tension it. Also being 30 metres long provides greater versatility when choosing the distance you want to walk.